Researchers at the University of British Columbia have developed a hydrogel which can deliver medications to the eye—and could potentially treat disorders like glaucoma and age-related macular degeneration. Drug delivery is an elusive problem for doctors attempting to treat eye disorders. Eyedrops tend to roll right off the eye, with a very small and inconsistent amount of medicine actually being absorbed. Moreover, even that medicine that does reach the eye may not make it to the back of the eye, where it can have the biggest effect. While scientists believe that cannabinoids have beneficial effects on glaucoma, no treatments exist yet that can deliver these compounds directly to the eye, let alone the back of their eye where they are needed most. The compounds do not dissolve easily in water, making them difficult to incorporate into traditional eye drops. InMed, a pharmaceutical company, wanted to solve this problem by developing a delivery system for a cannabinoids called cannabigerolic acid (CBGA), to effectively treat the eyes, it turned to Vikramaditya Yadav, PhD, an assistant professor of Chemical & Biological Engineering at the University of British Columbia, and his team of synthetic biologists and chemical engineers for help. “The cannabinoid biosynthetic pathway is one of the most challenging pathways to express in microorganisms, and we were drawn to the project for both, its academic impact and societal relevance,” Yadav told MD Magazine. The team developed a hydrogel using biocompatible materials already recognized as safe by the US Food and Drug Administration, which they then filled with nanoparticles that housed CBGA molecules. Rather than roll off of the eye, the nanoparticles are specially designed to respond to temperature and coat the cornea. They are positioned by the blinking eyelid, making them ideal for use immediately before bedtime. Then, as the patients sleep, the drug dissolves and is delivered to the back of the eye. Thus far, the formulation has been tested on pig corneas. 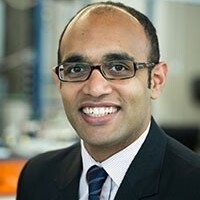 Yadav admitted the team has a long way to go before the drug is commercially available, but he hopes that by teaming up with more clinicians going forward, he and his team will be able to use this template as a drug delivery solution for a variety of eye diseases from glaucoma to macular degeneration. The study, “A stimulus-responsive, in situ-forming, nanoparticle-laden hydrogel for ocular drug delivery,” was published in Drug Delivery and Translational Research.